Best wishes for Becky Jordan! Becky Jordan, reference specialist in Special Collections & University Archives (SCUA), is retiring and today is her last day. Becky is an ISU alumna, and she has been with SCUA since she graduated in 1975! She worked in the Parks Library as a student and began work in SCUA right after graduation. If you’ve ever had a research request or visited the archives, it is likely Becky Jordan provided you with assistance. Becky installing our most recent exhibit on Iowa State’s role in establishing Iowa’s State Parks. 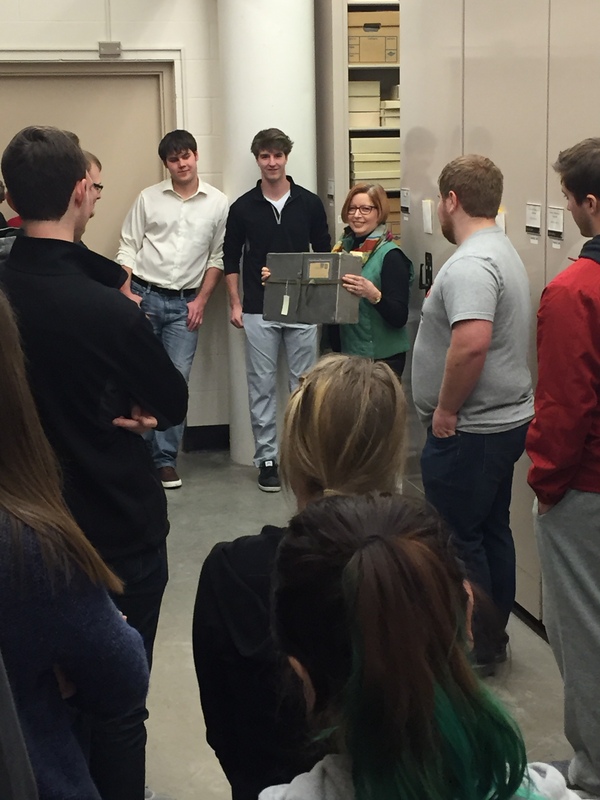 Becky Jordan giving a tour of the collection storage area for HIST 195 class, April 2016. Becky Jordan giving instruction on researching in archives for AMD 257 last fall. You can read more about Becky in our Staff Pick! post from last summer. Please join us in congratulating Becky on her much deserved retirement. We will miss her very much and wish her well! 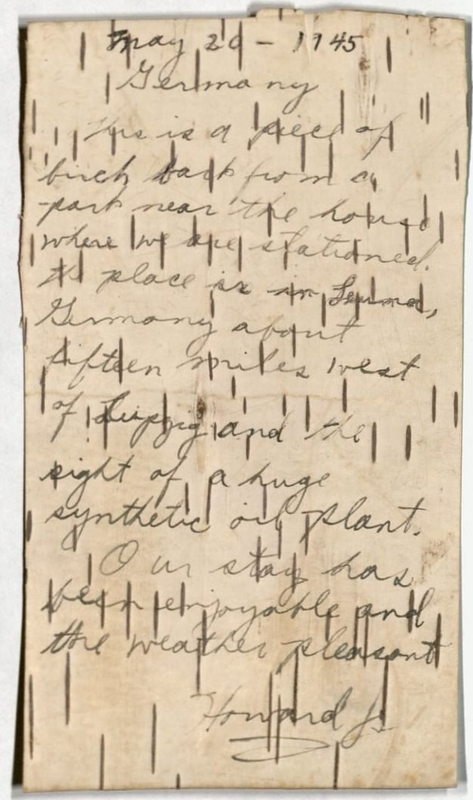 Today’s blog post highlights both a member of the Special Collections and University Archives staff, Becky Jordan, and some items from the Marie Hall Papers (RS 21/7/51). Becky Jordan is the Reference Specialist here. She has worked in the department the longest and has graciously answered a few questions about herself. 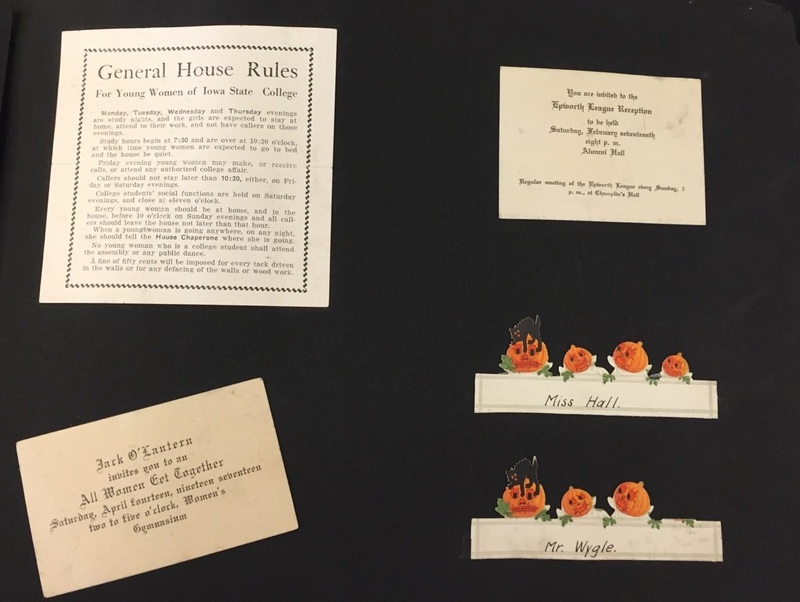 How did you get started in Special Collections & University Archives at Iowa State University? I had worked in the Library as a student, and so was somewhat familiar with the University’s Merit System jobs. Several months before I graduated, I took the test for Secretary I over at Human Resources in Beardshear Hall (I was an English major, so I had excellent typing skills). It happened that there were two secretarial jobs open in the Library, and I interviewed for both during final week of my last quarter—we were still on the quarter system then. I graduated on Saturday, March 1, 1975, and was offered the secretarial job in Special Collections the next Monday. My first day was the following Friday, March 7. I’ve never left! I handle reference requests relating to the collections in the department. Most are from people off-campus and can cover any topic, from aircraft design to the 1895 football team. I regularly do tours of the department, for classes and other groups. I also spend at least six hours a week at our public desk in room 403 of the Parks Library. Why’d you pick this collection/item to highlight? 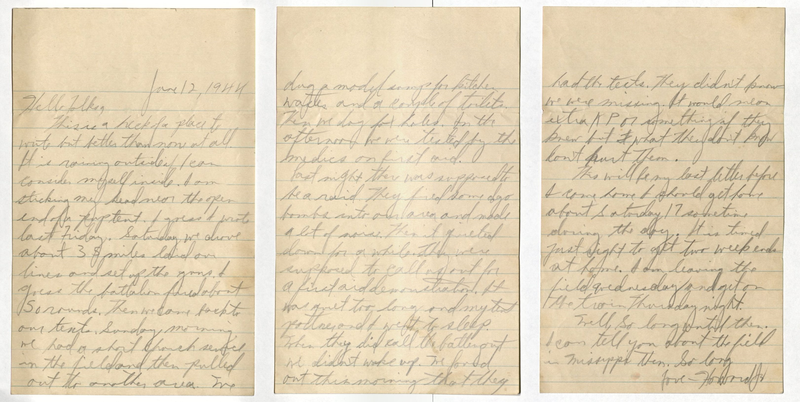 This is Marie Hall’s college “Memory Book” from the Marie Hall Papers (RS 21/7/51). Marie entered Iowa State in the Fall of 1916 and graduated in the Spring of 1920. The scrapbook begins with a letter to the incoming freshman class and the Iowa State College Handbook, and ends with the invitation to the 1920 Commencement. In between, she saved what looks like everything—dance cards, newsclippings, programs from events, invitations, greeting cards and photographs. 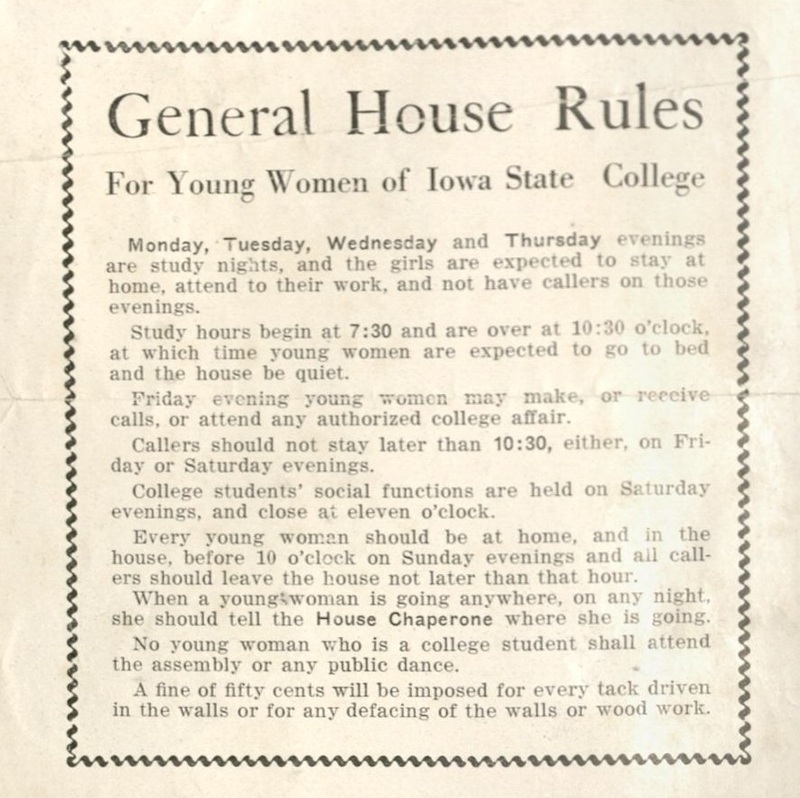 I like to use this for class tours, because it includes “General House Rules for Young Women of Iowa State College.” I read them off and ask the students if they think they could follow the rules today. We lose them right away with the 10:30 bedtime. Drop by the reading room to check out other collections documenting the history Iowa State University!